DOT Physical Exams. Walk in Service. Driver Friendly™. Parking garage for cars and trucks. Large CMVs, buses and tractor-trailers park adjacent to building on the street. Walk-ins welcome, scheduling is preferred for your convenience and time. Directly across from Smart N Final. Cars and small trucks can park in rear or on street. Large commercial vehicles can park on street. Low priced exams for individuals and transportation companies. 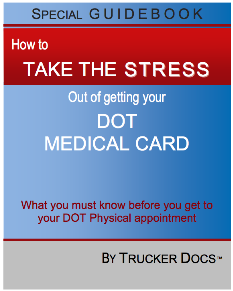 We take care of your DOT Medical Card process and get it done right the first time. See Pomona Wellness Center Plus website for more information. Serving California local areas: Long Beach, LA county and Orange county areas.